If you are used to search different information in the Internet, you may face the problem of inconvenient storage of data, saved in HTML format. It is not convenient to store text as HTML pages, especially when one single document like a book is divided into hundreds of pages. 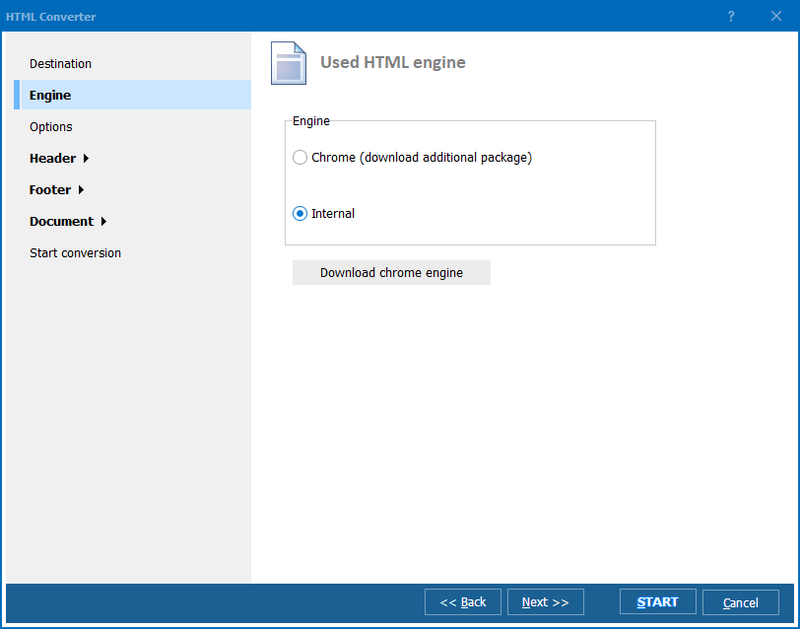 To solve this problem you need a batch HTML converter that can combine all HTML pages into one file and convert it to some text format. TXT is the most compact format among text file types. If you need to save the memory space, converting HTML to TXT is the best solution. The program features handy UI where you will do this step-by-step. There are no many settings available for HTML to TXT conversion, as this HTML text converter automatically renders only text without any formatting and saves it in TXT file. The program creates a correct TXT-copy of each HTML source page. You need only to specify the location for the converted documents and press Start! button to start conversion process. 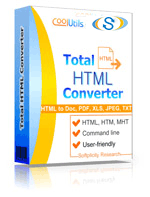 With Total HTML Converter you can also convert HTML files from the command line. A simple text command is required to perform your HTML documents to TXT files, enabling conversion from CMD Windows processor. In this case the program works in background mode. All parameters for adjustable HTML conversion to TXT are listed in Help menu. Total HTML Converter is an all-in-one tool for turning your HTML pages to text or images documents in the most popular formats. Download the program in trial version and try it for free. How to convert HTML to Text free? Convert HTM to Unicode Text. Save time, it's easy. Convert HTML to Unicode Text professionally. Save HTM as Text in batches professionally!